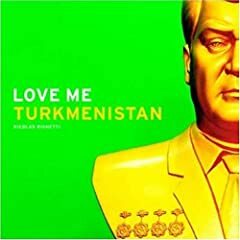 Love Me Turkmenistan is a compelling, unique book. The slim volume features vivid photos of Turkmenistan, especially its graven images of Saparmurat Niyazov (its former president), each photo paired with an actual quote from Niyazov, one of the world's harshest dictators. The New York Post named the book one of its best holiday gift books, and I myself am giving it as a holiday gift to a friend who loves both travel and photography (as well as irony). My next book is Underground America: Narratives of Undocumented Lives, edited by Peter Orner.